No Way Ray is an up and coming, exciting design collective currently specialising in embroidery. They’ve taken a lighthearted approach to stitching and have a contemporary style, just look at their instagram page. 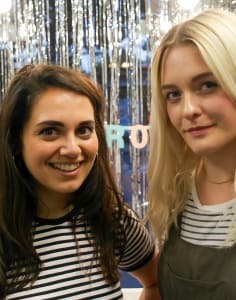 Run by Esther and Cat, 2 graphic designers, No Way Ray is passionate about creating a community of people who like to craft but have a keen eye for design at the same time.